Enjoy your vaping experience but remember safety precautions. Florida resident Tallmadge D’Elia was found dead after a house fire last weekend. The tragedy has added to the increasing number of negative attacks against the vaping community. Yes, D’Elia’s death is a tragic case — but one, like so many other incidents, that apparently could have been avoided. While D’Elia’s death is still under investigation, St. Petersburg, Fla., firefighters announced Monday they suspect the blaze was sparked via an exploding vape pen. “From the information we gathered on scene through process of elimination, we narrowed it down that the ignition source was a vape that was being used,” Lt. Steven Lawrence, the deputy fire marshal, was quoted as saying Monday. Citing an upcoming autopsy and additional reporting on the investigation, the cause of death is still pending. However, Lawrence added D’Elia appeared to have suffered injuries that are common with lithium-ion battery explosions. The model of vape pen D’Elia had yet to be released, according to NBCNews.com. “We believe that there’s a possibility that the battery pack used in the vape mod had an issue and exploded, and that was the ignition of the fire,” Lawrence said. Sad. The reality is tragedies such as the one involving D’Elia are rare, approximately one in 10 million, according to Battery University. And with added safety precautions and common sense, like these vaping battery safety tips, those figures could decline. While some high-end models contain built-in batteries, most vaping devices require separate purchases. Always do our homework and shy away from those who customize their own batteries. Some may think it’s cool, but it’s an irresponsible practice. Incorrect settings and cheap products can cause explosions. When shopping, purchase reputable batteries from a trusted brand, like Samsung. Bargain batteries are made cheaply, could be faulty and definitely more susceptible to sparking. Never leave home without a battery holder. 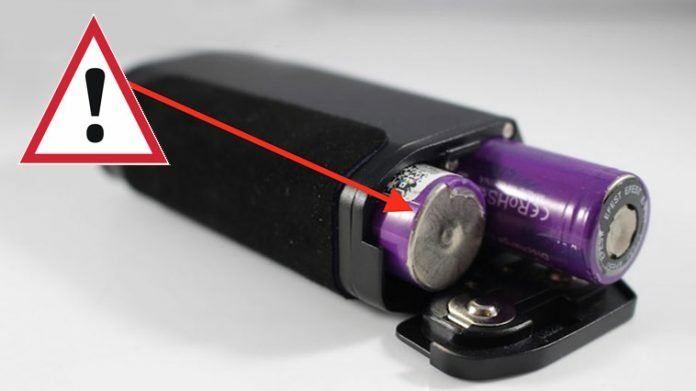 By simply storing loose batteries in your pockets, the act could turn tragic. The batteries could rub against each other or against keys or coins and instantly ignite an explosion in your pants. YIKES! If you live in environments with fluctuating temperatures, from scorching hot to freezing cold, batteries could be negatively affected. Batteries generally operate most efficiently in the range of 50 and 115 degrees Fahrenheit. Always use recommended coils on responsible temperature settings. Mods do not have unlimited temperature ranges. After purchasing a new model, always check the manual to learn of its capabilities. When inserting batteries into vaping devices, make sure they are cohesive. Do your homework and learn which batteries are recommended for each specific device. Never leave to chance the possibility of using the wrong batteries. With the litany of choices, including ICR, IMR and LiPo, the act of combining differing battery types also should be avoided at all times. Regulated mods are highly recommended for rookie enthusiasts. They will provide an easy method to alter the delivery of wattage and volts to the coil. The basic approaches will help novices learn to better control the device. When not vaping, mods should always be stored in its “safe place.” That, of course, does not include placing it on a pillow or anything flammable. Additional healthy tips include using compatible charging cables, unscrewing the tank from the mod overnight and avoid placing devices in direct sunlight, which obviously could aid in overheating the mod. Also, avoid damaged batteries and charging mods overnight. A majority of devices come with a cut-off mechanism when it reaches full charge. But if it fails, the device could ignite a blaze. Finally, be sure to keep your batteries wrapped. If the wraps on your batteries have tears, are coming loose, or just look ratty, you can easily replace them with a kit like this. 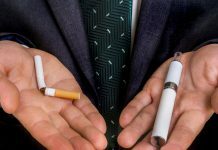 Despite the tens of millions of safe vapes experienced by millions of individuals daily, reports of house fires and explosions caused by faulty devices continue to plague the industry.